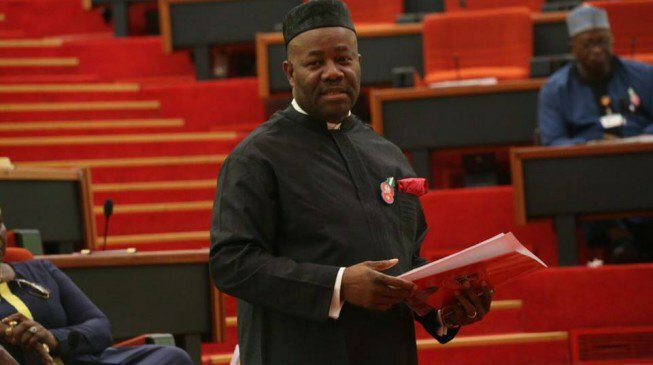 Asked why he defected to the APC, Akpabio sais, â€œI did not defect, I moved to the All Progressives Congress (APC) in the national interest especially if you look at what is happening at the national level. â€œI was surprised that people who founded the APC were the same people determined to ruin that party, to bring down the government of President Buhari just because election is approaching, so that they could go and contest under another platform. â€œI felt there is need for us to have a country before we talk about elections. People say statesmen think about the next generation while politicians think of the next election. â€œI saw a trend where a lot of us are now becoming politicians thinking only of the next election without thinking of the next generation. â€œI moved in the national interest, to stabilize the polity and in order to support the current administration. â€œAnd I thin that, to a large extent, my intention was achieved and so it was referred to as â€˜uncommon defectionâ€™ because it was one defection that stopped a lot of defections. He said, â€œThere will be no war in Nigeria in 2019, people should not think of election as war. Election should not be war. â€œI appreciate that question because recently I made a statement which I love to make. â€œI said, â€˜Warsaw saw warâ€™ because the political leadership in PDP in Akwa Ibom had said that the current administration should recruit people and prepare for war, that 2019 will be war and that only the fittest would survive. â€œSo, the youths and some elders of the APC met me to say that people are calling for war.